Basically, call centers and contact centers to use a software system to manage their call flows and agent efficiency. This software system is called as call center software. Due to the presence of many call center software companies in India; you need to choose the best call center software. But before you go to choose the best call center software, you must know about different types of call center software. Here is a list of different types of call center software. Voice broadcasting software is a type of call center software that is used to broadcast thousands of voice messages at once. Voice broadcasting is a process that began in the 90s and spread across the globe. This call center software enables users to use their mobile numbers as a customized caller ID, improve your marketing. You can send customized messages to your clients through voice broadcasting software and prompt them to buy your products. Call tracking software is used by contact centers to track calls of their customers. This call center software allows businesses to detect the relevant callers in order to give the best solutions to them. Text messaging software is also called as bulk SMS software that allows businesses to send thousands of text messages at once. The text messages can be promotional or informative. With text messaging software you can easily personalize your messages which means you can schedule the messages as per the needs of your business. Automatic call distributor (ACD) helps contact centers to manage the call flow of their inbound calls. It routes calls to the appropriate or skilled agent at contact centers. Automatic Call Distributor (ACD) is not only helpful for agents but also for consumers who need immediate information or solution regarding certain products or services. Interactive voice response is mainly used in call centers to prompt callers to choose various services of call centers. For Example, If a client needs to deactivate his services, he dials a toll-free number which trains him to press a specific catch to go to the deactivation office. This causes the shopper to get profited as well as manufactures a solid trust-connect between the operator and the clients. If you are looking for best call center software, Sip2Dial can be the most genuine choice for you. Sip2Dial is call center software that is made to help small businesses to manage their contact centers. Sip2Dial comes with many advanced features like Automatic Call Distributor (ACD), Skill-Based Routing, Customized Call Queues and much more. All these cloud-based features are powerful to handle inbound call centers, outbound call centers, and blended contact centers. 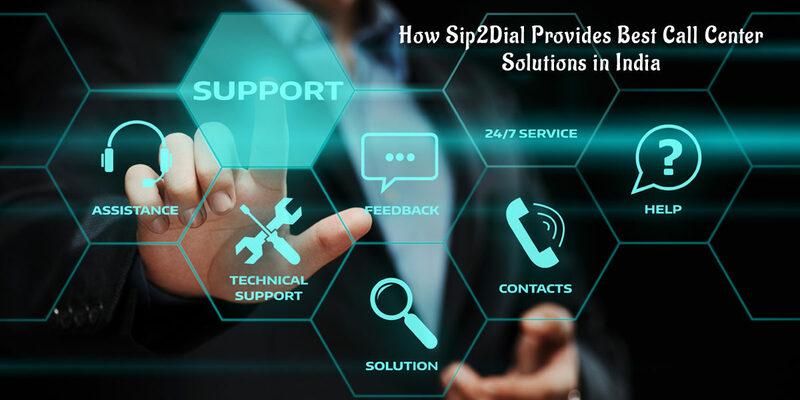 Sip2Dial is managed by a team of highly talented developers who are experts in various advanced technologies like Artificial Intelligence and IP based communications. 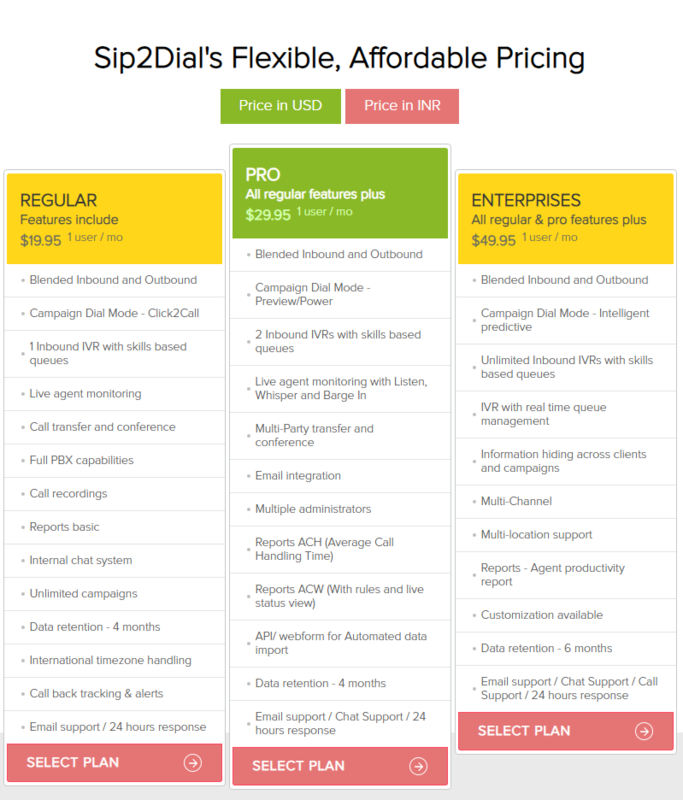 Sip2Dial gives a 30 days basis free trial to its customers through which they can utilize all the free features of Sip2Dial before buying it. These days it is not at all difficult to choose best call center software companies in India. You do not need to invest your money because most call center software companies offer their software on a free trial basis. When you start using the free trial of call center software you will know its performance, effectiveness, and features. Then you will be able to choose the best call center software companies in India.